First I have to apologize that this is the fourth article of this kind in a row on this blog, but I wanted to take the January off from everything else and I’ve got some other stuff coming up soon. But now – the news! It wasn’t as much of a rollercoaster as last week, but there were still a lot of interesting surprises. This time of year is a bit subdued because of the triple spaceflight tragedies of Apollo 1, Challenger and Columbia that happened at this time and I linked to an interesting article about Challenger from a journalist’s perspective… but I honestly think that while rememberance is good, we also need to reclaim those occasions and make them positive again. 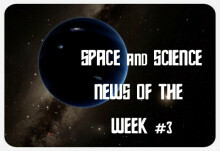 This week’s round of news is again a combination of articles I posted in my suddenly very popular Space & Astronomy Collection on Google+ and in the WSH Crew Community. 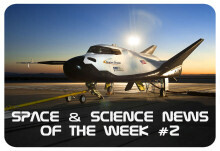 This was another action-packed week of space, science and a bit of science-fiction news – from flowers in space, the mystery of the gravitational waves, the probably return of a sort of space shuttle (which I like so much that I made it the article image this week), a spacewalk shortened by water in a spacesuit helmet again and, just a short while ago, the successful launch of another Falcon 9 rocket, even though the first stage landing failed this time. Oh, and The Martian got two Golden Globes and was nominated for seven Oscars, to throw in a bit of entertainment! 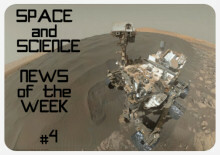 This article is basically a collection of links I posted this week in my Space & Astronomy collection-slash-category on Google+ and in the WSH Crew Community with some updates and added commentary for archiving and those who are not on Google+. The feedback I had over the last five editions was pretty good and I think I can continue doing this on a regular basis. Now let’s have some news…. It’s a brand new year and the space and science news are already piling up – I took a bit of a break over the holidays, but things kept happening and so there are lots of articles to catch up with. The big news had, of course, already happened shortly before Christmas with the successful landing of the SpaceX Falcon 9 rocket, but there was still such a huge amount of interesting stuff that I decided to make the first 2016 edition of my space news roundup into a simple link dump without the usual comments. 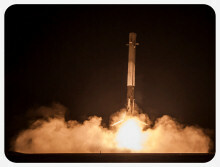 The next event to look out for is on January 17 when SpaceX launches another Falcon 9, but this time from Vandenberg in California with a first stage landing attempt on a sea barge. Also, next week Tuesday to Thursday the BBC’s Stargazing Live returns, which I’ve written about over on DVDLog. And now, to the news. Lots of it!